Post-Apartheid South Africa, after dark. Ben meets Skinn for a night out. But the party is interrupted by the police. Ben, a young student who doesn’t know his own history, is accused of a crime he didn’t commit. And Officer Buthelezi, a former freedom fighter, can’t let it go. Based on a real encounter. Noma Dumezweni (read interview) makes her directorial debut. 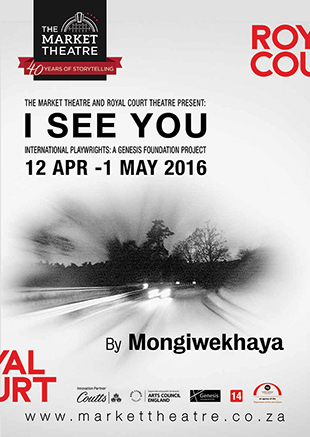 After its run in the Jerwood Theatre Upstairs I See You will play at the Market Theatre Johannesburg.